The history of dentistry dates back to 2000 B.C. The ancient Mayans experimented with dental implants, and Hippocrates studied various dental conditions to learn more about possible treatments. The first toothbrush was invented in China during the Tang Dynasty and was brought to Europe in the 17th century. Around the time toothbrushes were introduced in Europe, Charles Allen published “The Operator For Teeth,” the first dentistry book which is still in the College of Dentistry at New York’s library today. Many people remember the story of George Washington and his dentures made of tusk, but fewer know the stories of Auguste Taveau, Horace Wells, Lucy B. Hobbes and many others who paved the way to modern dentistry. Thanks to Taveau, your teeth can be restored to health after suffering from decay because he developed amalgam, which is a filling material that is still occasionally in use today. Wells determined that nitrous oxide could ease pain and relax patients during dental extractions. Today, sedation dentistry continues to allow anxious patients to receive the dental care they need without fear, discomfort or worry. Hobbes forged ahead in the largely male-dominated field of dentistry and became the first female to graduate from Cincinnati Dental College and become a successful dentist. Frederick McKay, a dental student, began the studies that would eventually lead to the fluoridation of our public water supplies. Today, dentistry is designed to prevent problems, restore damaged or decayed teeth and enhance the appearance of a smile. 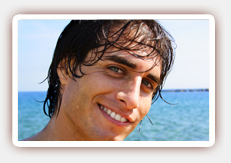 Contact our office today to schedule an appointment with our West Hollywood dentist.